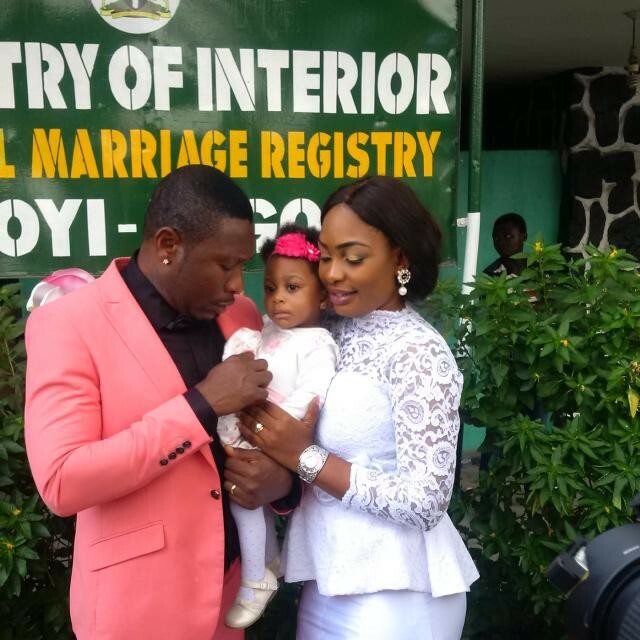 Tchidi Chikere first wife wedding scandal and biography. Fans have been fascinated by the story of Tchidi Chikere first wife Sophia and the actor.They were together for 9 years before he left her.Fans cannot get enough of the scandal that ensued when he ended his marriage to her and took of with another woman,Nuella Njubigbo. While confirming news of her forthcoming wedding to the star,Nuella denied being the reason for the break up of his marriage and says they only got together much later. leap of faith which every married woman has taken. Where this love will lead me I cannot say, I am not God, but, I have hope, faith and believe that it will lead me to a good place. Every one of us in this life deserves a chance to be happy. I am taking my own chance. But first wife Sophia is having none of that.She swears with everything she has that Nuella broke them up.Listen to her in her won words-I swear with my life, my children’s life and everything I have, that Nuella started dating my husband before he left the marriage. But because I respect my husband a lot, the father of my three boys, I have kept calm and won’t talk and comment because there is no need to wash your dirty linen in public. Tchidi is a wonderful husband and father and will always be. But if Nuella opened her mouth and said that she wasn’t dating my husband before he left the marriage, if she’s lying, let her not see anything good in life and if I’m lying,let me not see anything good in life. 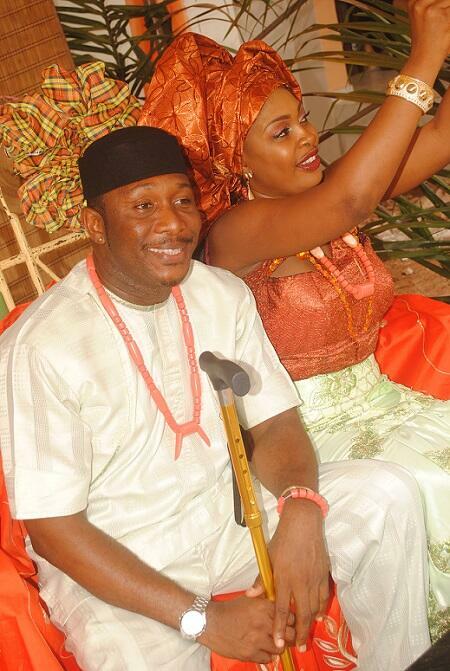 Nuella and the actor's wedding in Lagos. This question is for Nuella: Nuella, since you broke my marriage, have I called you? Have I looked for you? No! After what you did, you still have the right to lie and say you were not in the picture? You want to deceive the public? But you can’t deceive God. You put what God has joined together asunder and made my children cry to bed every night. I keep calm and you have the audacity to say that you weren’t dating my husband when we were together? Let the wrath of God be your portion. Now that you have taken my hubby and you are getting married to him like I heard, are you happy? Are you fulfilled? Let the Almighty God fight for me and judge you. Let vengeance be of God who knows everything and sees everything. My God is able and he’s not asleep. He sees. He knows. And he feels what I feel. He is the Lord who cares for me and my kids. As for my husband, he is a wonderful father and I will never ever disrespect him”. The man who the two women were fighting over reacted to all this by saying he has tried in a matured way to be silent about the whole issue but he just can’t hold it anymore. Anyway as you all know,Tchidi and Nuella got married eventually,and now Sophia to has gotten married to another man.We wish them all happiness. Now moving away from all that,let's find out more about the man of the moment in Tchidi Chikere biography.He was born October 10, 1975 in Nigeria. He is a graduate of the University of Calabar with over 50 films to his credit. Did you know though that the actor who hails from Mbaise Imo State, is also a musician. He has had duets with Marvellous Benji, OJB Jezreel and Pat Attah. He is a graduate of the University of Calabar, and has over 50 films to his credit. He hails from Mbaise, and he's the last born of his family. He started writing film scripts when he was still in school. While in school, he belonged to a musical group of three. On completion of National Youth Service Corp programme (NYSC), he traveled to the United Kingdom to publish his first book. In 2007, he launched his first album. He also launched his second album in the UK.